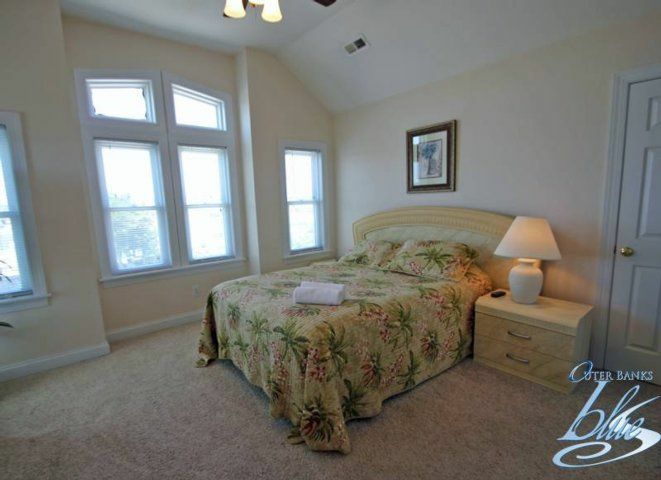 Wake up to an extraordinary vacation in an extraordinary property! 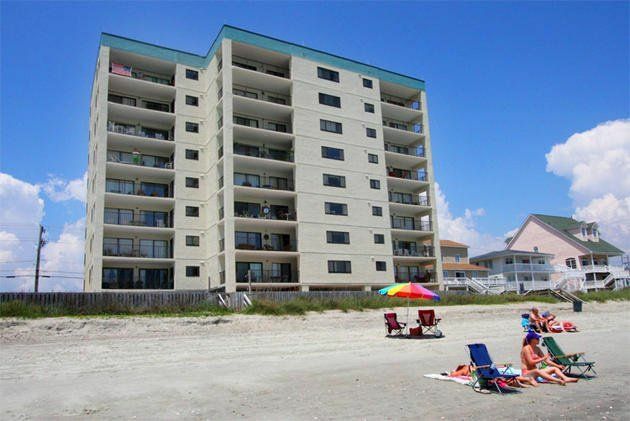 Centrally located for families that enjoy ocean views, the beach, shopping, movies, fishing, sunning and activities, you will find everything you need at “Nine West”. 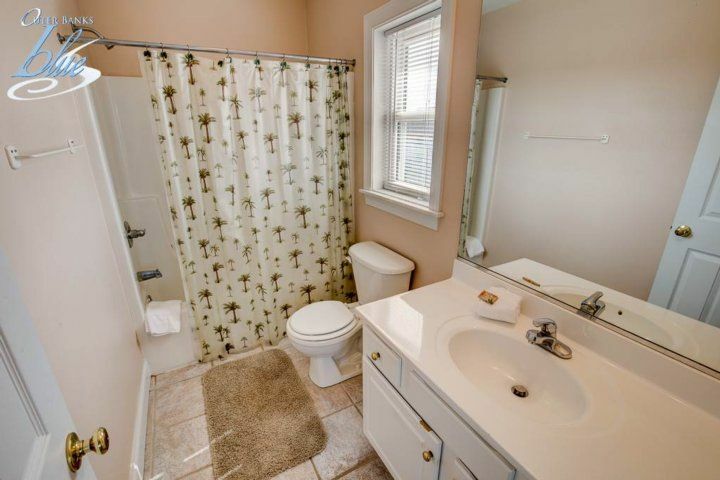 Tastefully decorated and cared for by loving owners, you will be at property at the first step in the door. 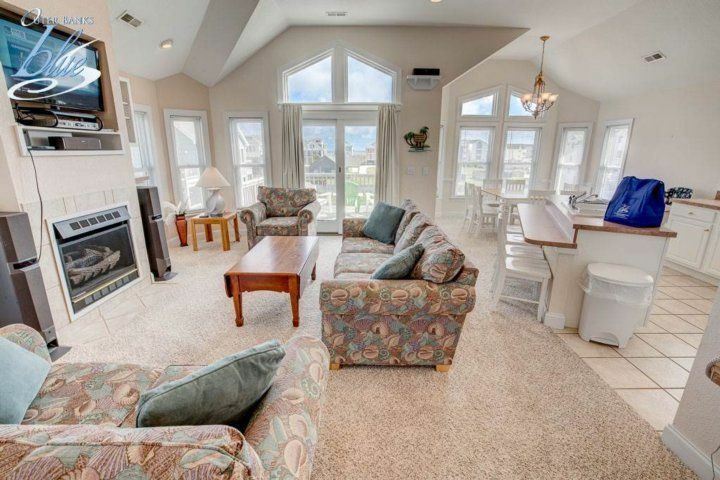 Great ocean view from the top deck overlooking your private pool and volleyball court. 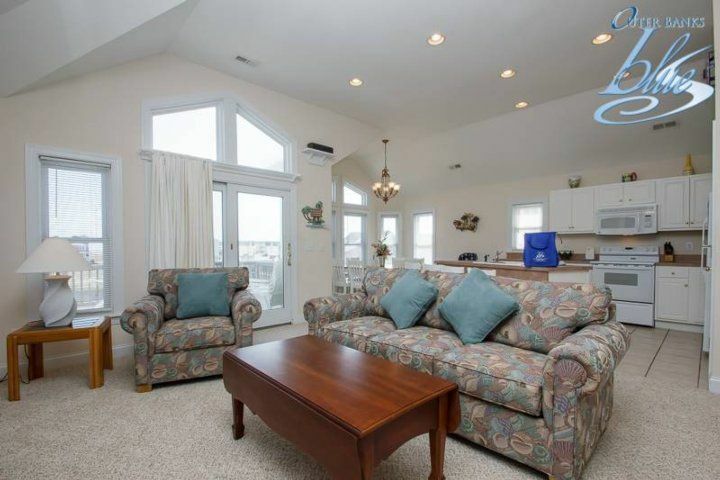 Want to enjoy the family and stay close? 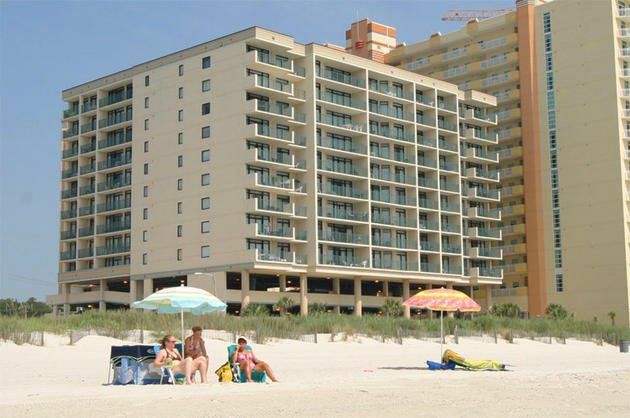 Lazy days on the beach (access is just a 2-minute walk), relax by the pool or in the hot tub. 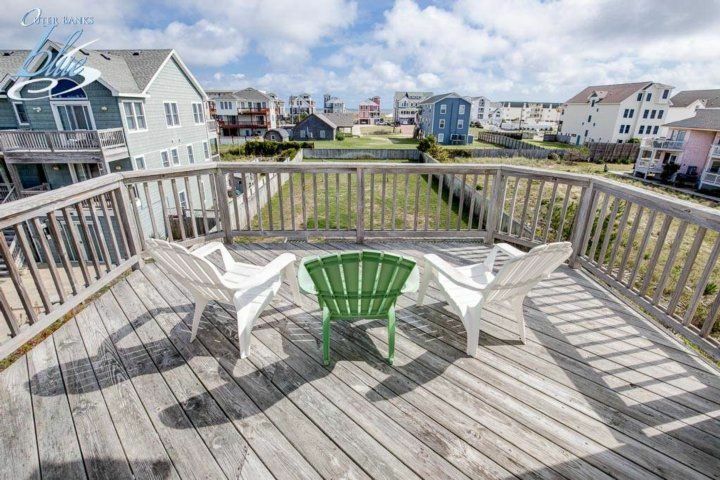 Enjoy a cold drink on the deck gazing at the ocean or soaking in the hot tub on the screened in porch, a great way to escape the occasional mosquitos. Basketball, volleyball, horseshoes and foosball keep everyone happy. 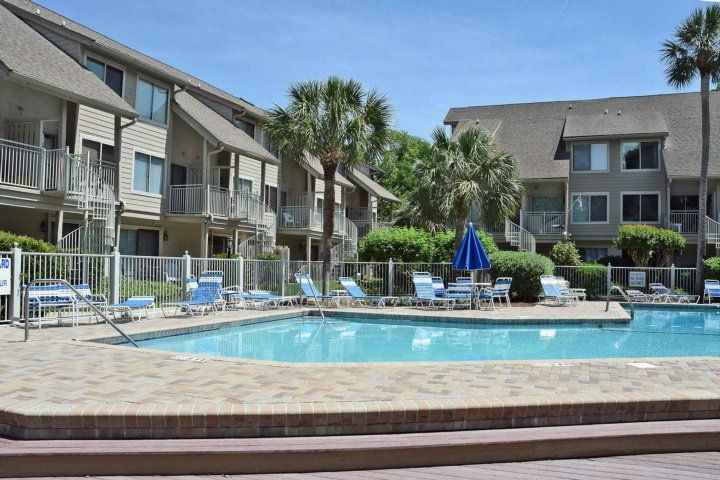 Oceans Nine West is located less than a mile from movies, shopping and restaurants. Also, conveniently located to the Wright Memorial National Park for history, hiking, and bike trails. 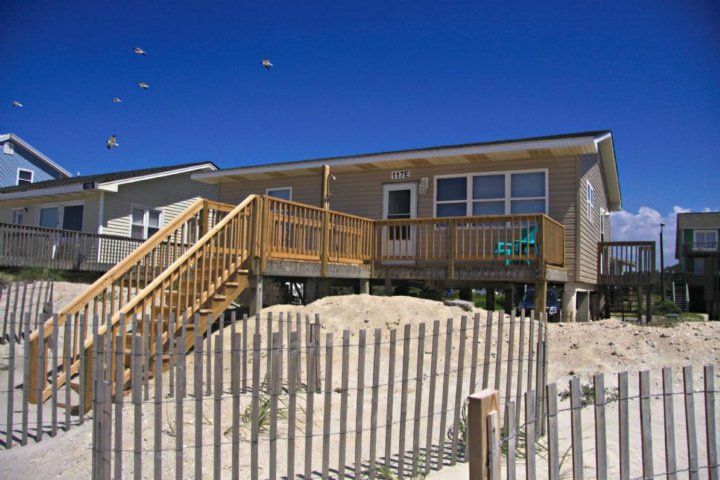 You won’t find a more inclusive vacation than at this awesome beach property! 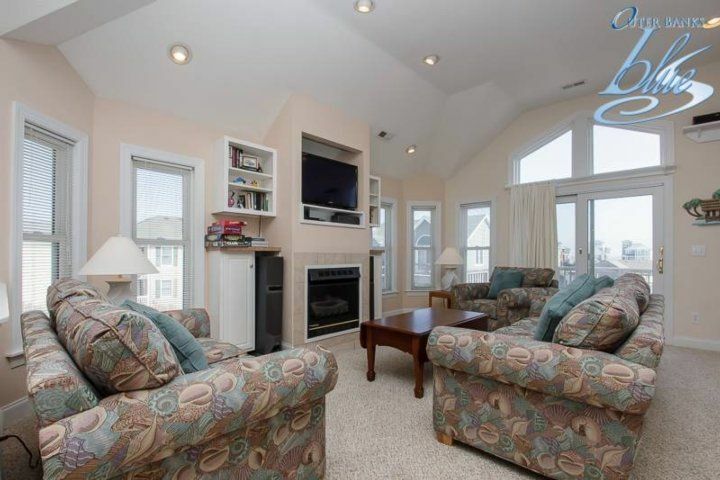 Top Level: Great Room with TV/DVD, Surround Sound TV System, Stereo, Gas Fireplace, Fax, Kitchen, Dinning Seating (Table seats 8, Bar seats 4), Powder Room, Queen Master with TV. 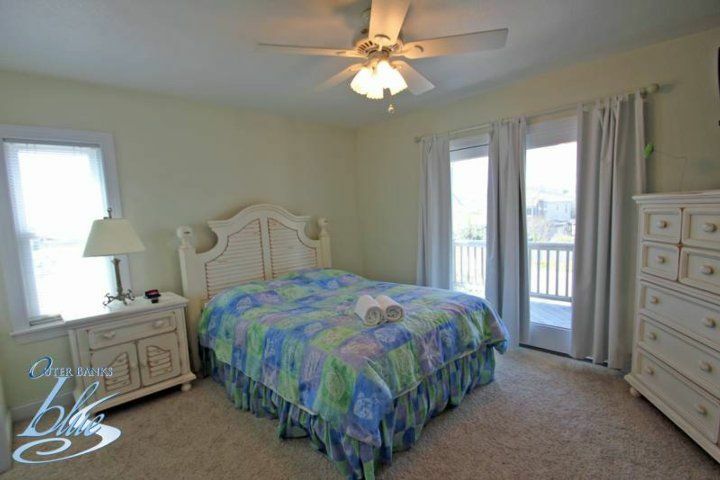 Mid-Level: Queen Master with TV and Deck Access, Queen Bedroom with TV and Deck Access, Queen Bedroom, Full Hall Bath. 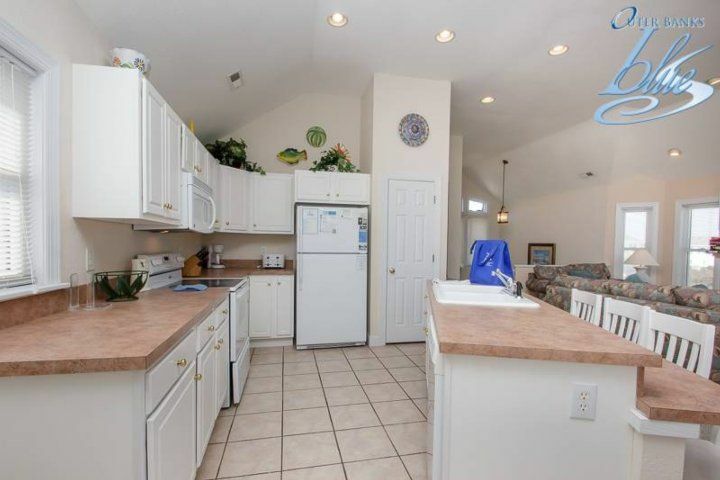 Ground Level: Den with TV/DVD, Foosball, Wet Bar with Full-size Refrigerator, Bedroom with 2 Duobunks, Full Hall Bath, Screened porch with Hot Tub. 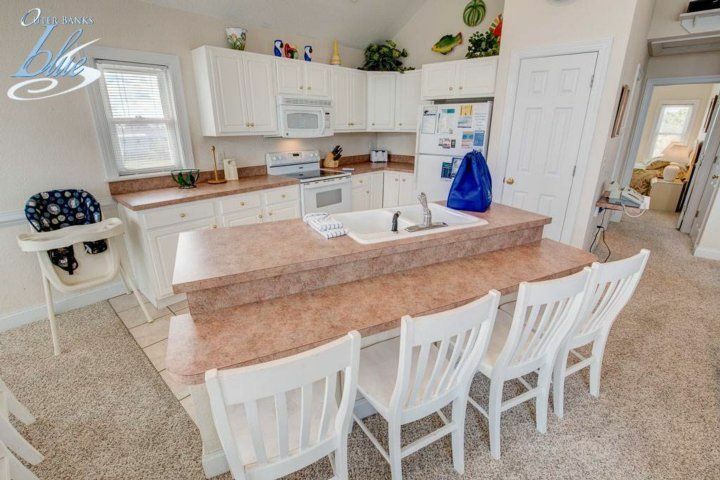 Extras: Private Pool (25 x 10), Hot Tub (4), Multiple TVs, DVDs, Fax, Gas Fireplace, Ocean View, High Chair, Pack N Play, Volleyball, Basketball Goal, Foosball, Horseshoe Pit. 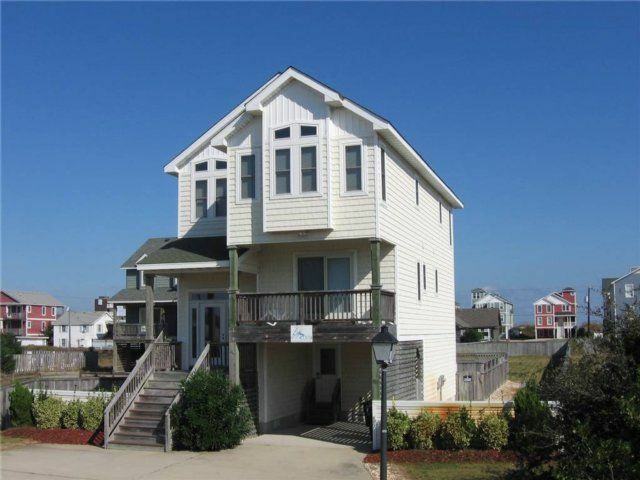 Wet Bar, 2 Full-size Refrigerators, Outside Loo, No Smoking, PETS NOT ALLOWED, Wireless Internet, Parking: 5 Cars, Milepost 6.5, Distance to the Beach: 1087 ft. Private pools are open from May 5, 2018 until October 12, 2018. 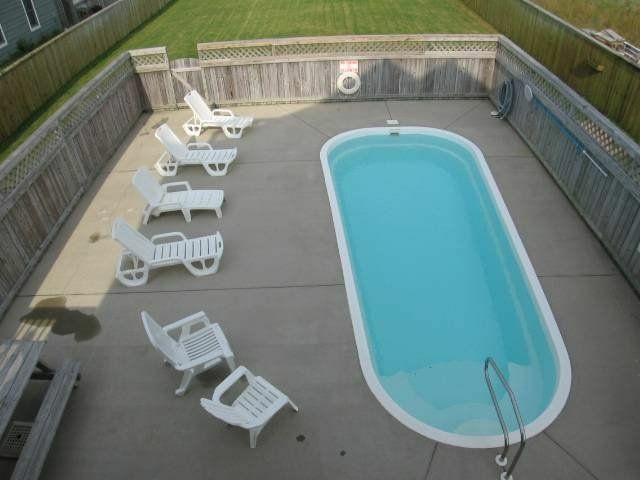 This property is not equipped for pool heat. 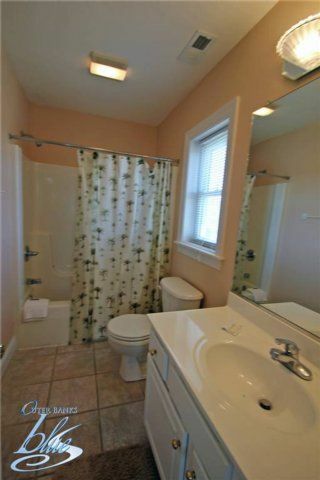 Pool heat is not an option for this property. Hot tubs are closed from January until February. Hot tubs are available March through December. Gas fireplaces are shut down from May 19, 2018 until September 15, 2018. Definately will be a return rental! 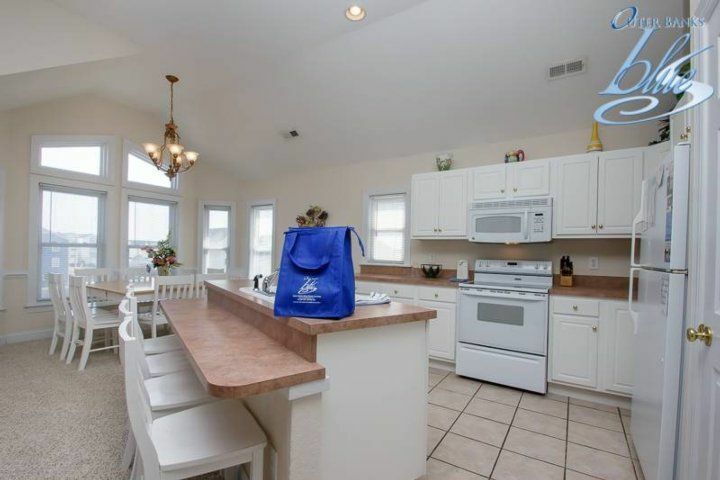 Great house with everything you could need except for a little radio for the hot tub / pool area. But no biggie, next year we will know to bring one with us. 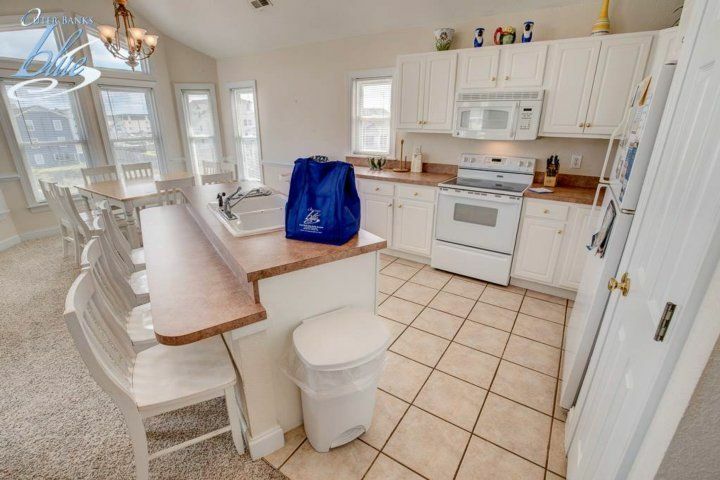 Don't mean to sound greedy at all, it was just that will all the other extra features of this home, we thought maybe we'd find a little radio in there. Ocean's Nine West has lots of curb appeal, so I'll start with the positive, beautiful pool & private hot tub, and outside full bathroom, which was perfect for all our kids. Huge backyard with volleyball net, beautiful green grass, which is in short supply around the are. 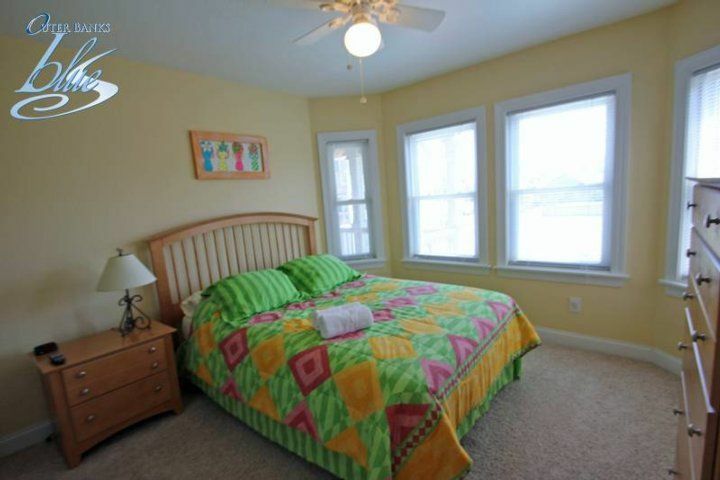 We had plenty of private space too, utilizing 4 of the 5 bedrooms. It was clean too (with the exception noted below). 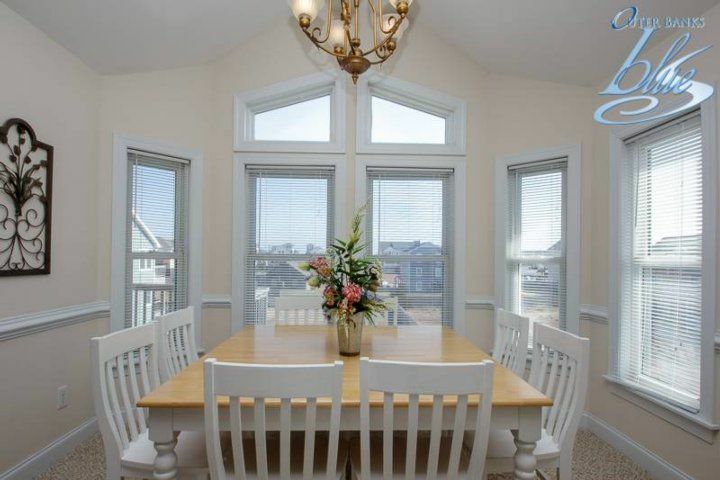 We loved the partial ocean view and the outside decks. It was our fault that we didn't notice the "bunk" room we had planned to use for the kids was on the 1st floor when we booked. 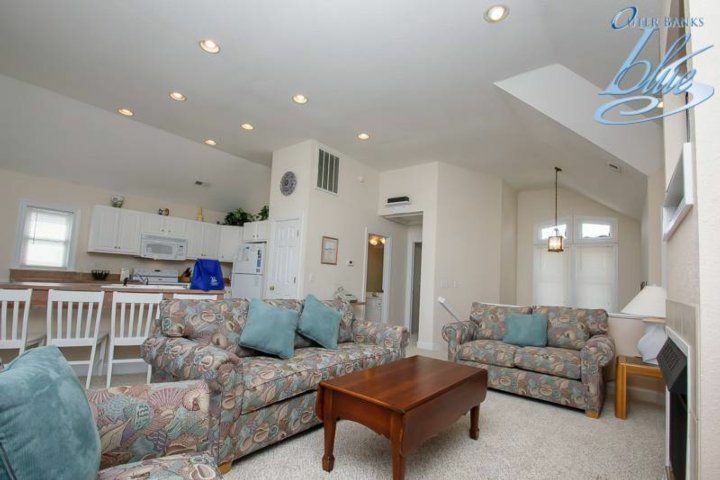 It is situated too close to the hot-tub & pool for us to feel comfortable leaving a 6 & 4 year old there. Outer Banks Blueq Show Phone No.